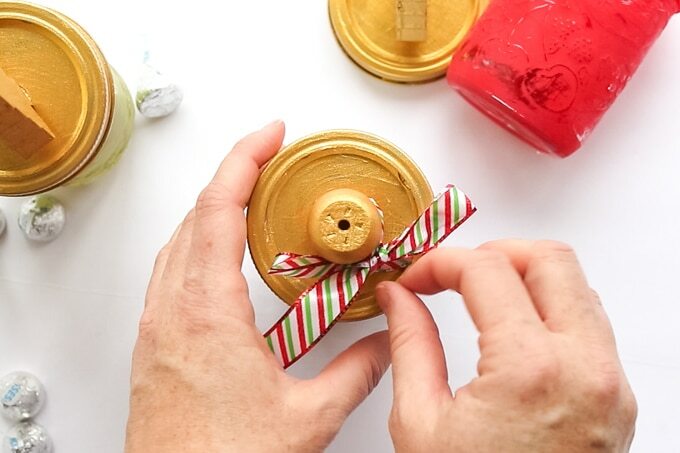 These DIY Painted Holiday Gift Jars are so cute and with this tutorial pretty darn easy to duplicate. 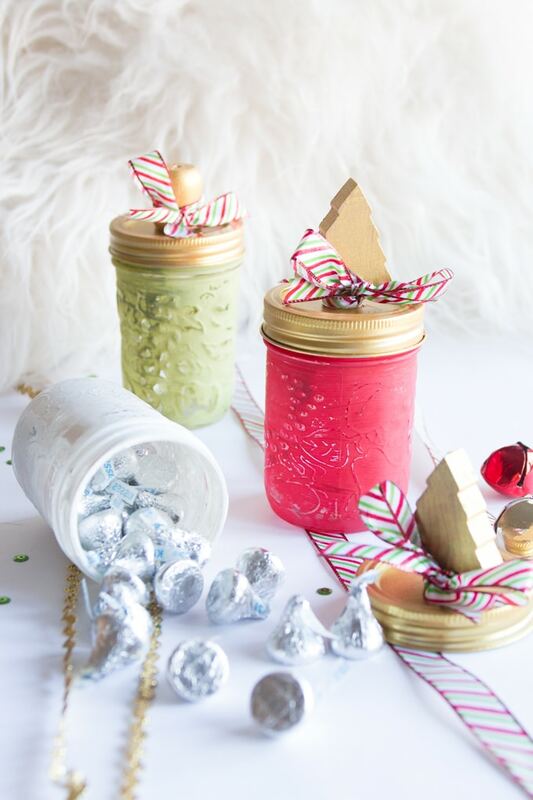 This year I have been having so much fun thinking of creative, inexpensive, thoughtful DIY holiday gifts. 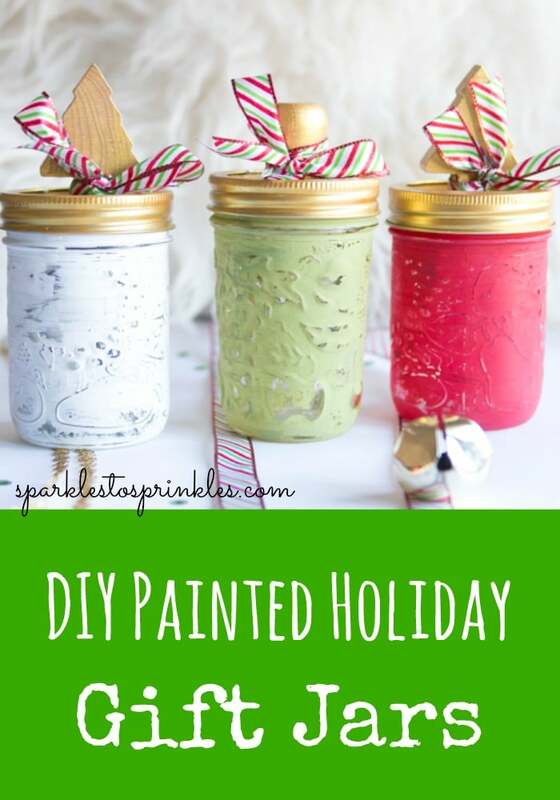 These DIY Painted Holiday Gift Jars are a perfect addition to our holiday gifting series. I have always loved and appreciated handmade gifts. We tend to stress ourselves out, every year, spending too much money on holiday gifts. Every year people put themselves in debt in order to buy holiday gifts. 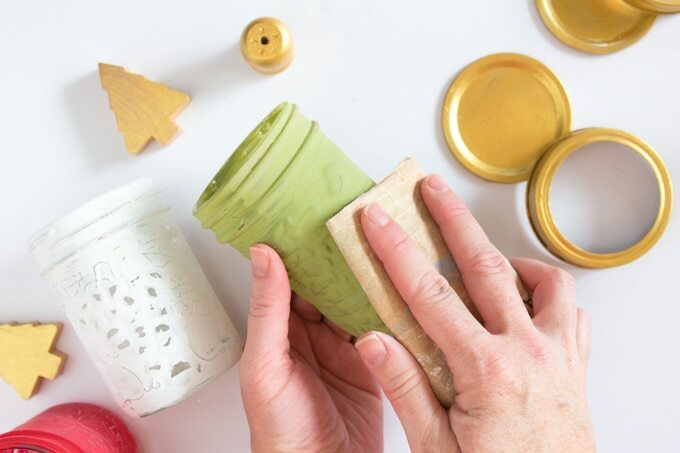 With just a little time, energy and more often than not just a few dollars you can make some of the most thoughtful gifts this holiday season. 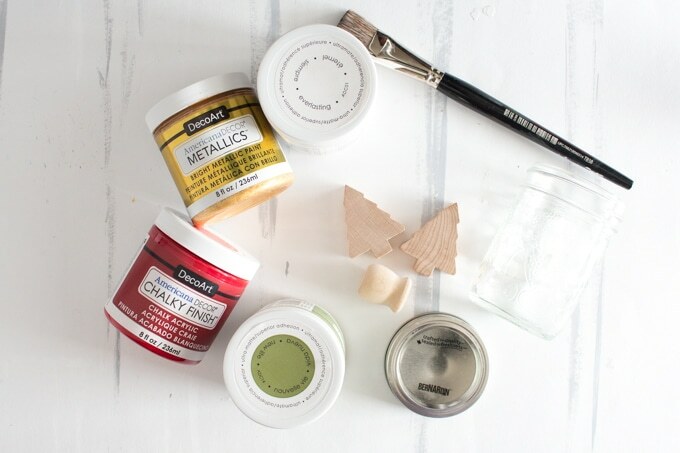 Lightly sand the painted jars for a distressed finish. sand any of the raised areas of the glass jar. 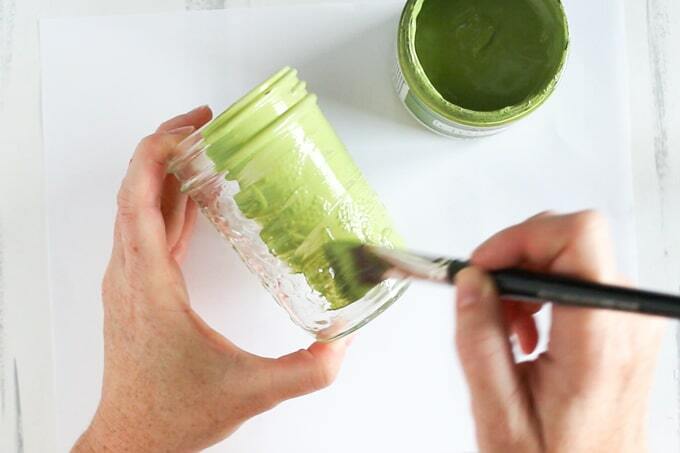 Wipe off the paint dust with a damp paper towel. 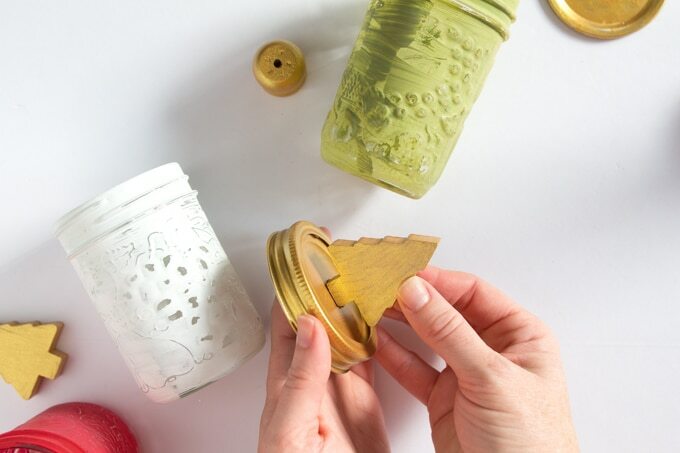 Glue the painted disk into the rim of the jar lid. 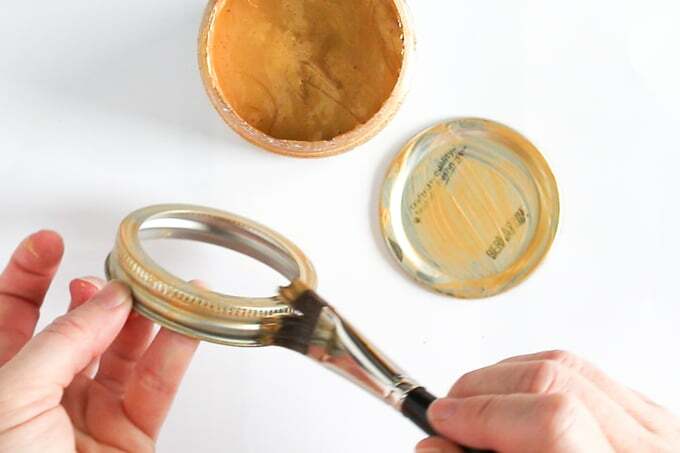 Glue the wood finding onto the top of the lid to form a knob. Fill the jar with treats of your choice.